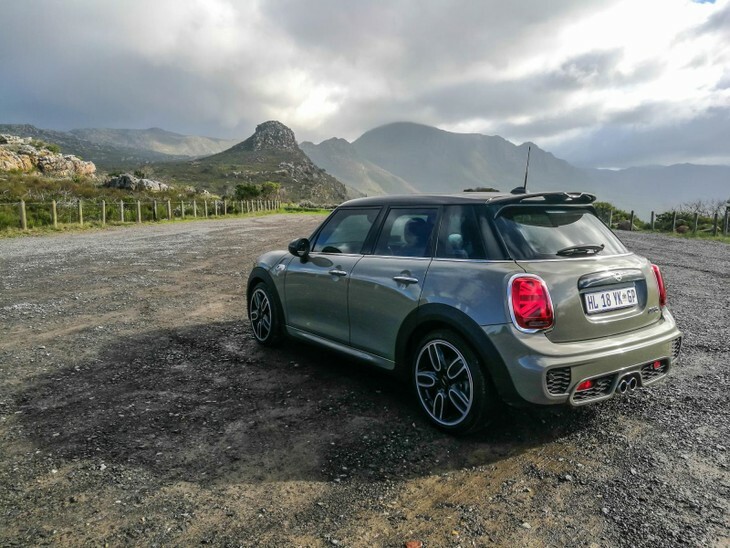 Few brands have as much youthful appeal as Mini does and with the introduction of the facelifted Cooper, which is now available in 3 body styles, including 3- and 5-door hatchback and convertible guise, Mini will look to entrench its influence in the premium compact car segment. 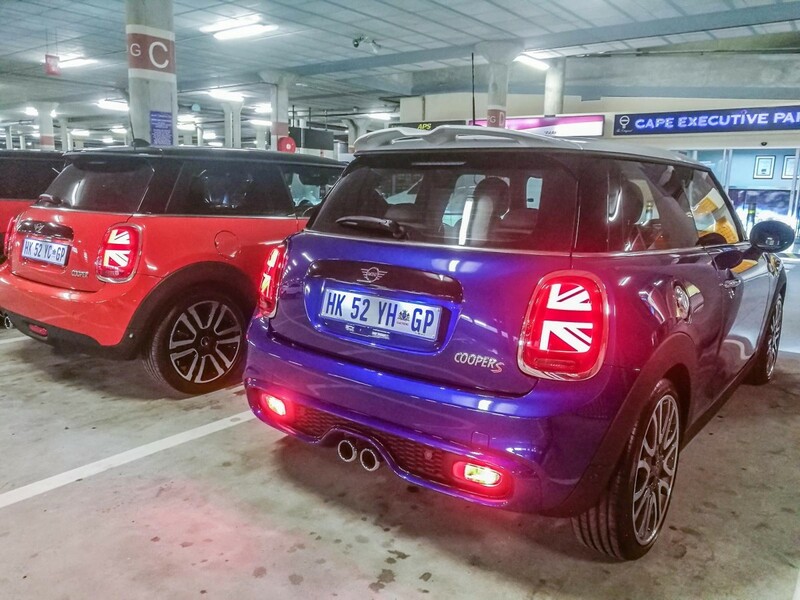 The LED Union Jack-pattern tail lights distinguish this Cooper from its predecessor. There are a number of visual indicators that set this latest Cooper apart and perhaps the most obvious cue is the striking LED Union Jack-pattern tail-light design that seems to have found favour with many commentators. You may also notice that the LED daytime running lights are now circular and there’s also a newly designed Mini logo on the nose, which looks quite posh. 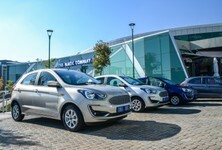 The choice of exterior colours has also expanded with the addition of vibrant hues such as Emerald Grey metallic, Starlight Blue metallic and Solaris Orange. There’s also a range of new 17-inch light alloy wheel designs on offer. Apple CarPlay is now offered as an option, as well as other useful infotainment features. 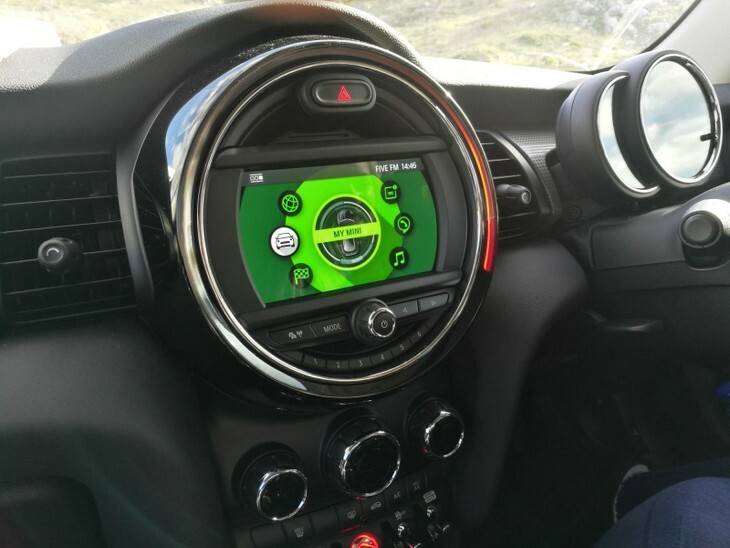 A new 3-spoke, multi-function steering wheel is fitted across the range and a radio with a 6.5-inch colour screen with smartphone integration and Bluetooth is standard. 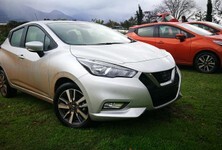 New features such as real-time traffic, concierge services, internet Mini Online and Apple CarPlay are also available. In addition to this, there is a wide range of optional equipment on offer to customise the vehicle to your specific needs. 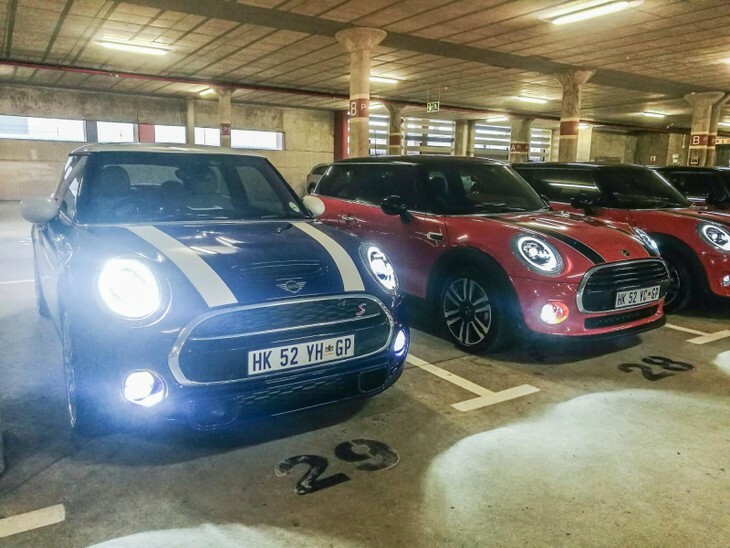 The Cooper S has a more menacing look and offers more punch over the standard Cooper. 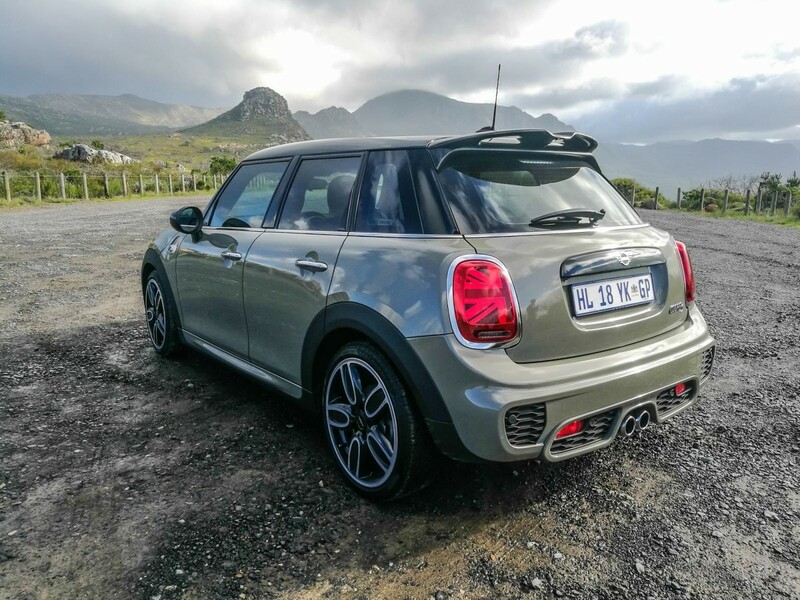 The launch route combined 135 km of both rural and urban driving and our first leg of the drive took place behind the wheel of the decisively sporty 5-door Cooper S automatic in Emerald Grey metallic. 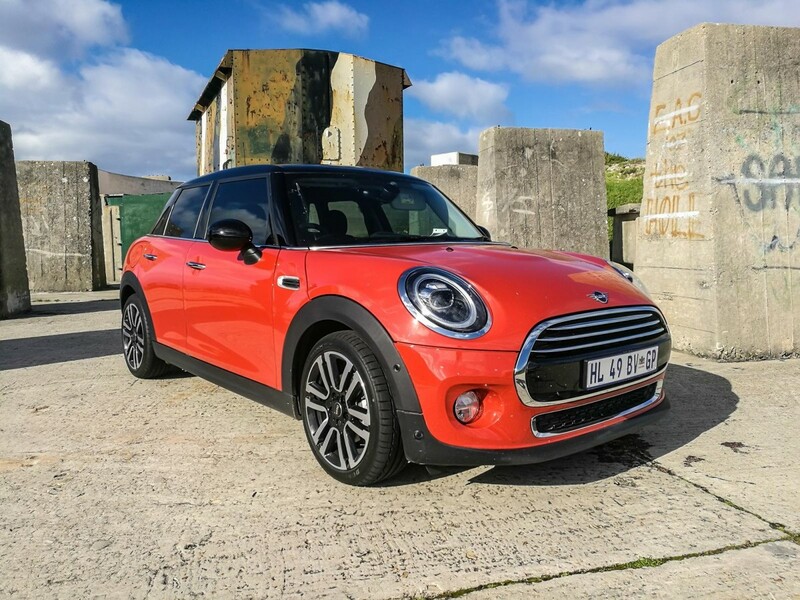 The front-end treatment is more aggressive than that of the standard Cooper and it delivers more punch too, thanks to its turbocharged 2.0-litre engine that whips up 141 kW and 300 Nm of torque. 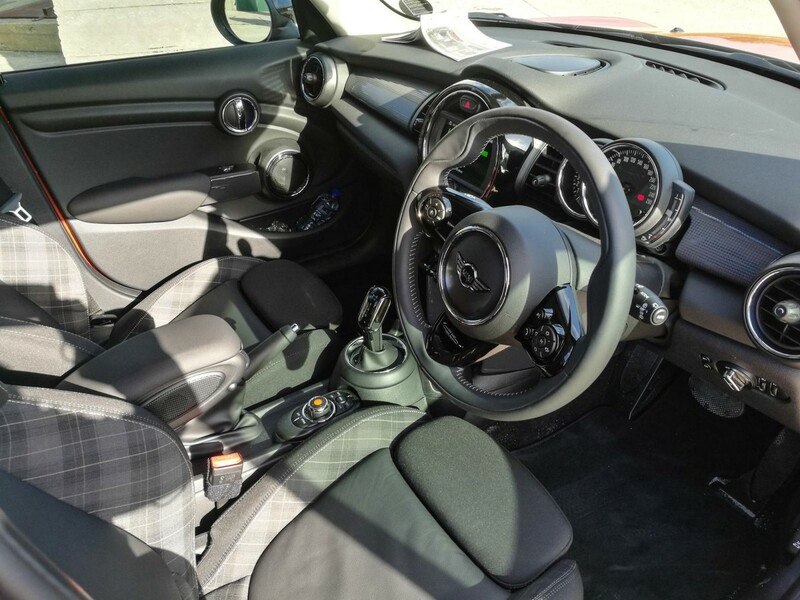 The automatic transmission is now a 7-speed dual-clutch unit, and our test unit was equipped with the sportier "Steptronic" sports transmission option with 'wheel-mounted shift paddles. The new transmission is a boon to driving engagement, because it allowed us to flick through the gears manually... and merrily. The transmission is particularly responsive in action and while some initial torque steer is evident when you mash the accelerator pedal, the steering soon settles and the Cooper S surges forward with a fair degree of pace (it is said to sprint from 0 to 100 kph in 6.8 seconds). 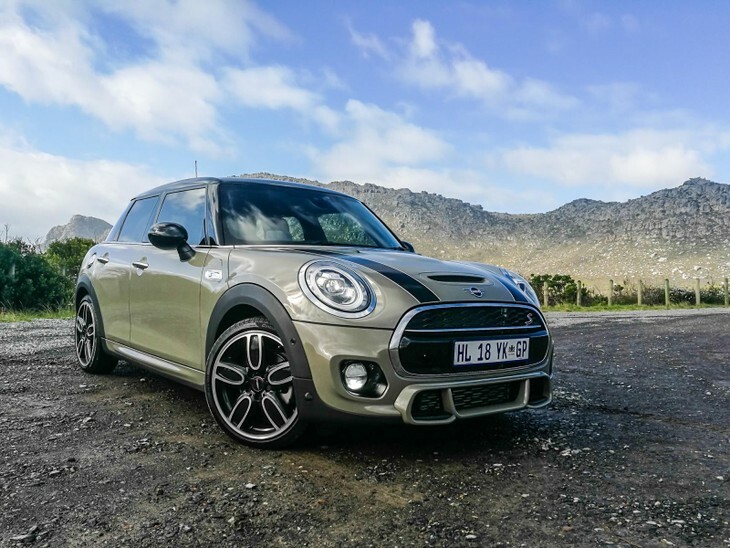 The occasional turbo flutter also adds some aural pleasure to the Cooper S when you are driving spiritedly, which is wonderful. 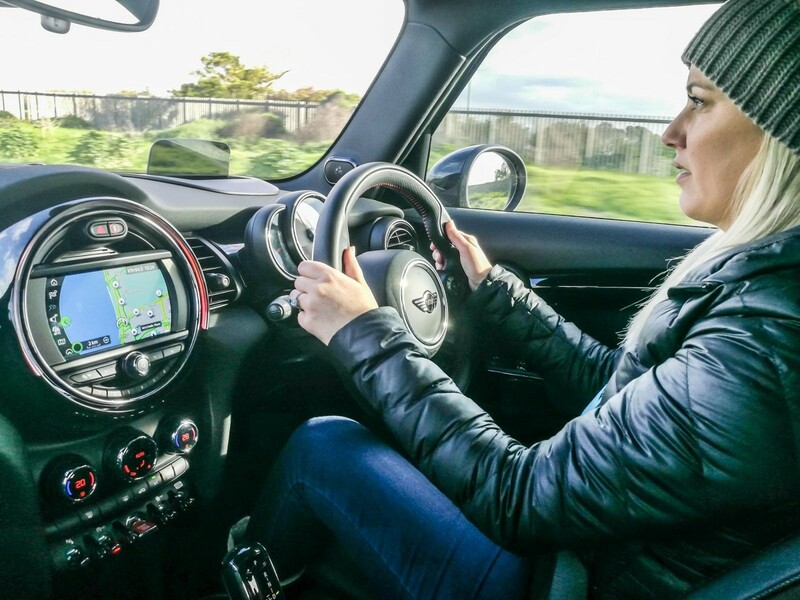 The Cooper S is great fun to drive (#CarsAwards judge Juliet McGuire is behind the wheel) courtesy of its stiffly-sprung suspension. 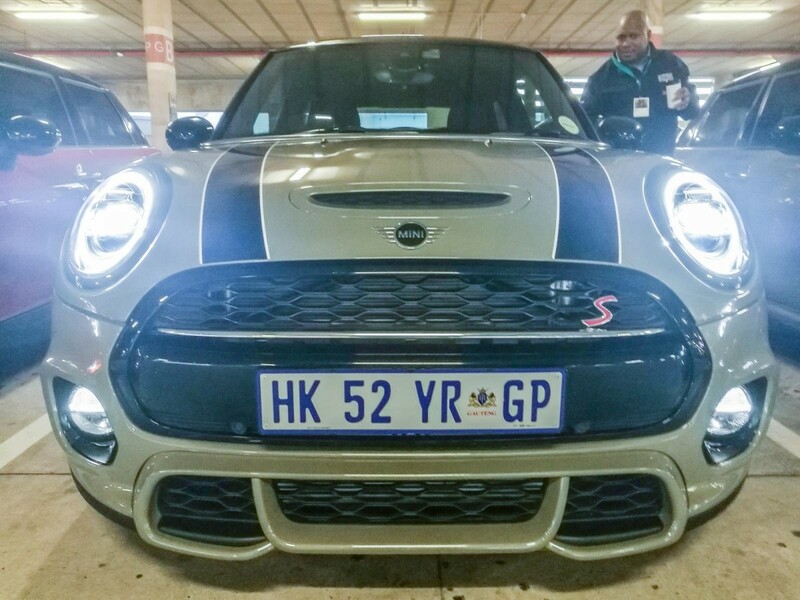 In terms of handling, the Cooper S feels solidly planted on the tar and coupled with its well-weighted and responsive steering, it can be coaxed through corners at heady speeds with relatively little fuss. 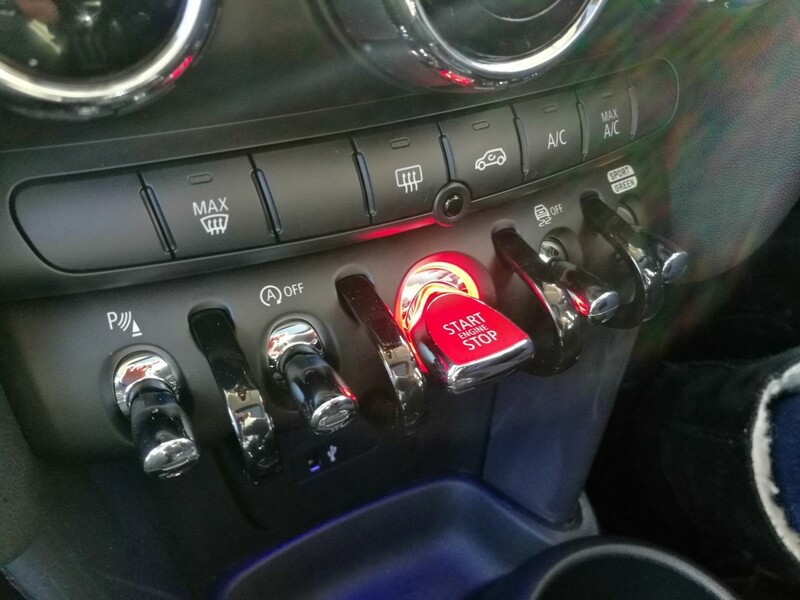 In fact, the Cooper S is hugely entertaining to drive and you can toggle through 3 driving modes (Green, Mid and Sport) depending on your preference. There has to be a downside to all that nimbleness and that's the ride quality, which is on the firmer side of pliant; all the potholes created by the recent rains in the Cape tended to unsettle the Mini (shod with 17-inch wheels, no less). 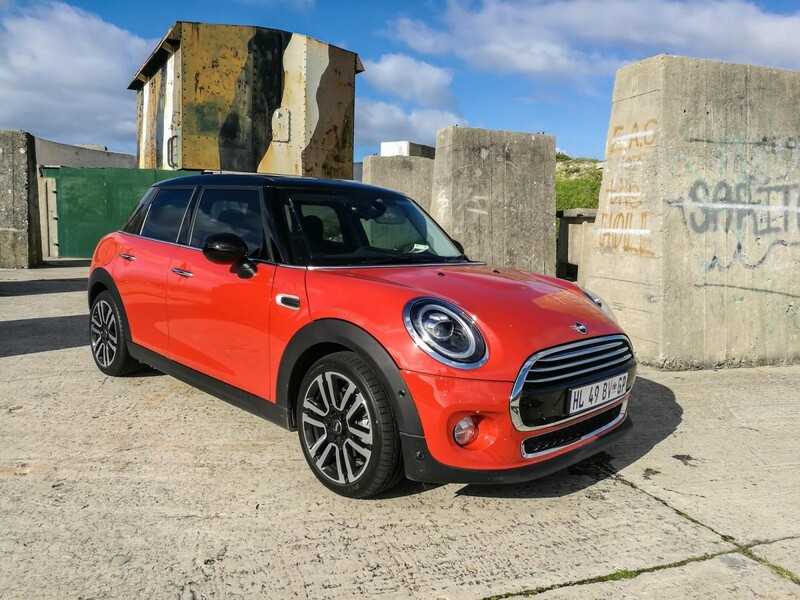 The standard 5-door Cooper offers good performance and its ride quality is a bit more forgiving. We then hopped into the more civilised 5-door Cooper automatic in Solaris Orange for the second half of our test drive. 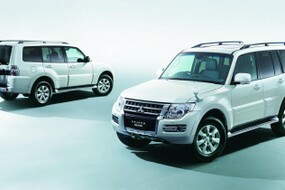 It too was fitted with an automatic 7-speed double-clutch transmission, but without the mounted paddles. 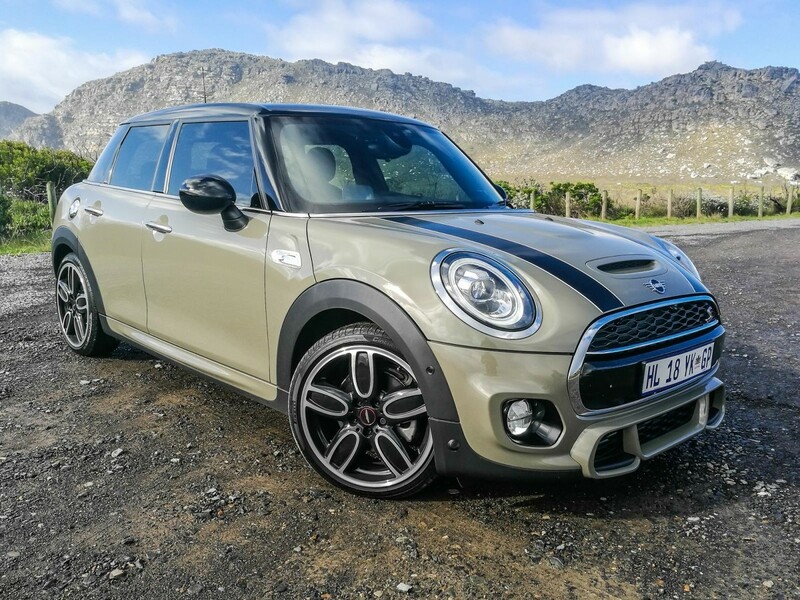 In the case of the Cooper, a 3-cylinder, 1.5-litre turbopetrol engine (with outputs of 100 kW and 230 Nm of torque) does duty under the bonnet. The former is obviously not as sprightly as the S, but we were pleasantly surprised by the liberal gusto this engine offers; it never felt underpowered. This derivative is capable of 0 to 100 kph in 8.2 seconds. Like the Cooper S, the 5-door Cooper felt equally dextrous through corners, but its ride was a bit more forgiving thanks to its smaller 16-inch alloy wheels. 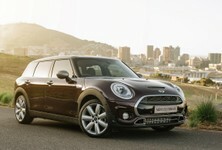 The latest Cooper offers thrills and a degree of boutique exclusivity, but it doesn't come cheap. 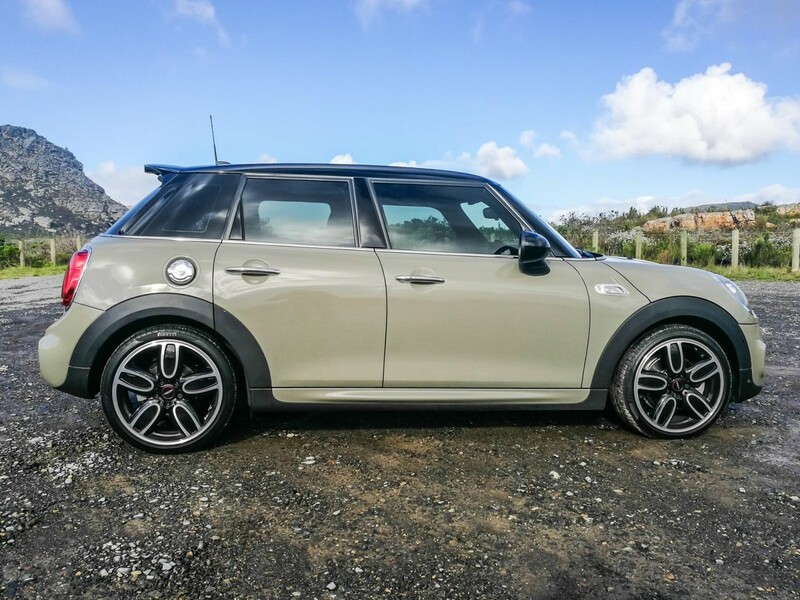 Mini fans will undoubtedly welcome the latest changes to the Cooper range and its expanded feature offering, higher levels of customisation, robust build quality and fun-to-drive character will only solidify the Cooper’s appeal in the premium compact car market. However, all these niceties come at a premium and in standard form, the Mini Cooper commands a significantly higher price tag than rivals such as the Audi A1, Volkswagen Polo and Ford Fiesta. 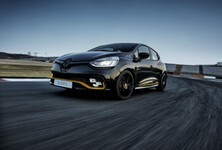 Other rivals worth considering in the upper end of the scale include the Abarth 500, Mercedes-Benz A-Class and BMW 1 Series. 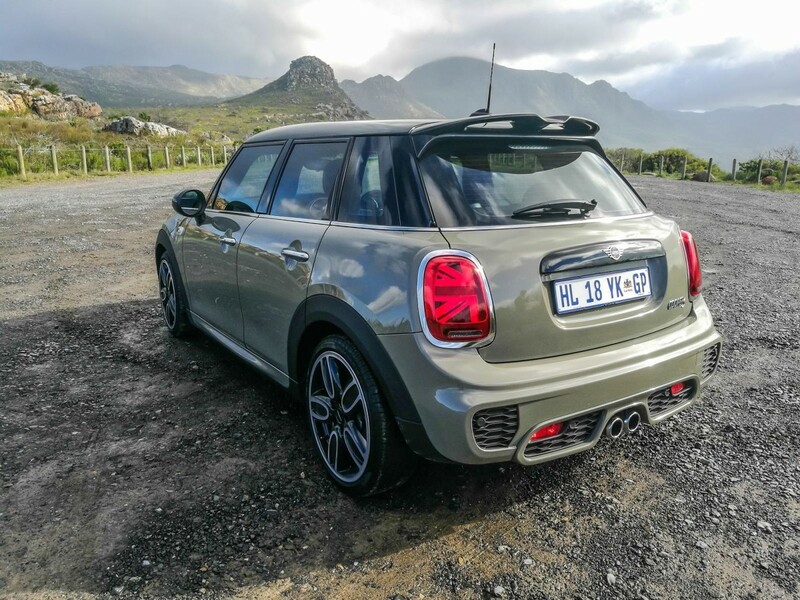 Once you start ticking off options and dabbling in customisation, the Mini Cooper can become a very pricey proposition, which in today’s economic climate, means that the newcomer will probably become more exclusive/niche/aspirational, rather than more familiar. As an example, you can get the recently launched Polo GTI priced at R375 900, while the Cooper S sports automatic is priced from R459 400. That’s a massive R84 000 difference before ticking options, which some buyers might find a bit difficult to swallow. Having said that, remember that every Mini derivative is offered with a 5-year/100 000 km maintenance plan, which is longer/more encompassing than those of most of its rivals. 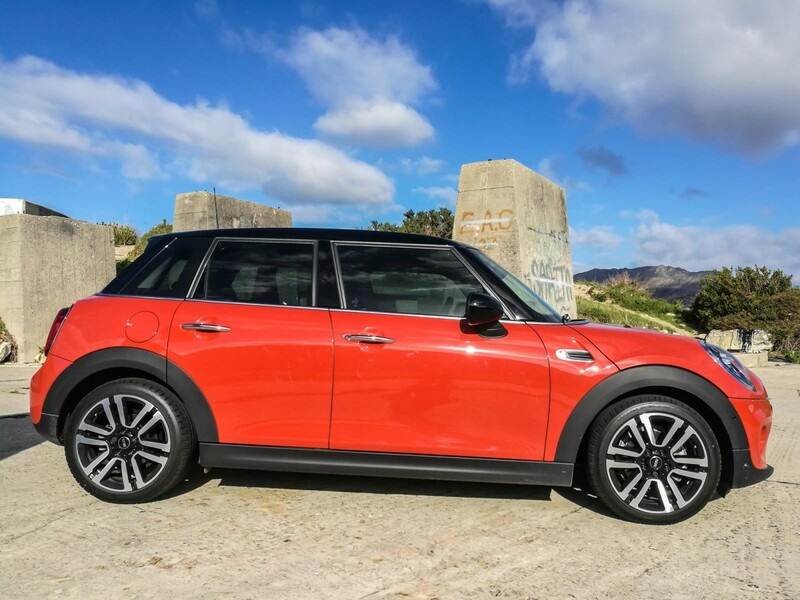 We will have the latest Mini Cooper on test soon, so look out for our full evaluation in the near future. 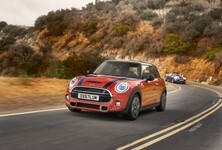 The Mini Cooper is sold with a 2-year/unlimited warranty and 5-year/100 000 km maintenance plan.